CHICAGO (WLS) -- 50 years ago, Dr. Martin Luther King, Jr. was living here in Chicago fighting to end housing discrimination. That fight included a march through Marquette Park where he and his supporters were greeted by people throwing stones, bricks and bottles. 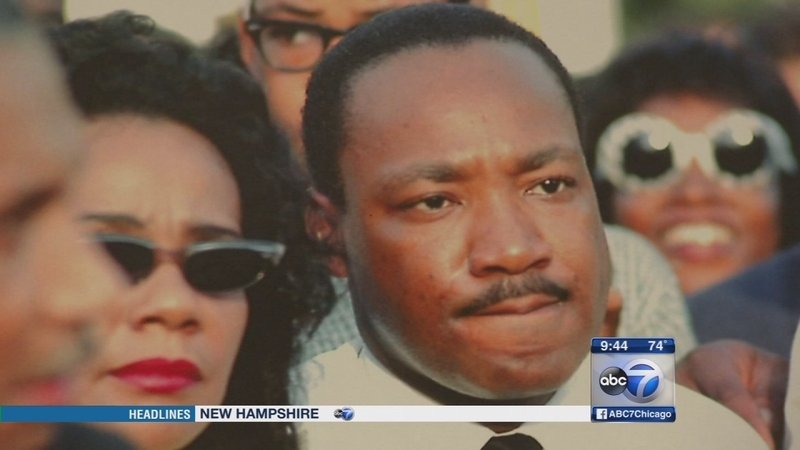 To mark the anniversary next weekend, hundreds of people plan to retrace the steps taken by Dr. King and his supporters and the first Chicago memorial to the Civil Rights leader will be unveiled. To talk about the anniversary and where things stand 50 years later is Rami Nashashibi. He's the executive director of the Inner City Muslim Action Network and a member of the planning committee for the Martin Luther King, Jr. Living Memorial Project. For more information, visit www.streets2016.com. 50 years ago, Dr. Martin Luther King, Jr. was living here in Chicago fighting to end housing discrimination.